These days, bathrooms are just as important as bedrooms to travelers looking to book the right hotel for their needs. Hotel stayers are looking for bathrooms that are luxurious and elegant, to include elaborate finishes and fancy amenities to make them feel right at home. Are you unsure of where to start in upgrading your hotel’s bathrooms? From corner shower kits to wall-length glass, there are all sorts of upgrades you can make to ensure you’re meeting your guests’ wants and expectations. These days hotel guests won’t settle for bathrooms that look like they haven’t been upgraded for years. 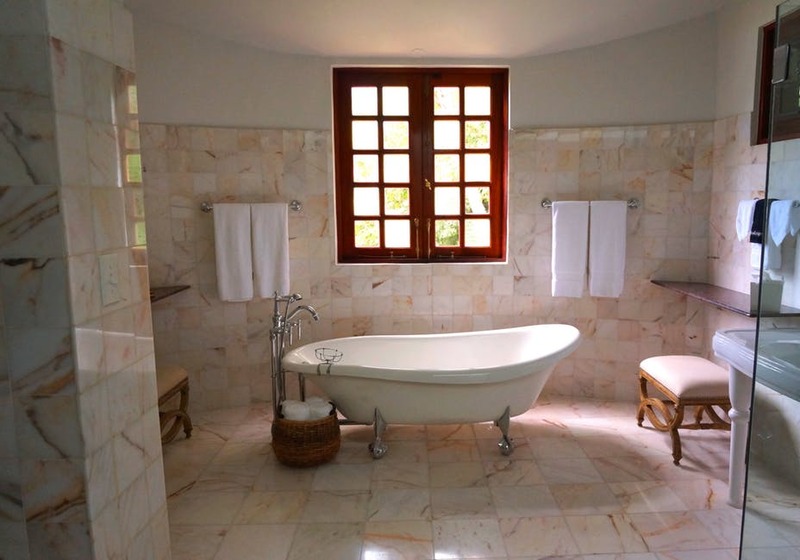 One of the biggest expectations that many travelers have is a new shower and/or bathtub. Old stained grout, dingy tubs, and aged hardware all need to be replaced if you want to entice guests to stay at your location. To upgrade the shower and bath area, consider installing a new tub surround or new shower walls. This will instantly bring a fresh and clean look to the space, making it look more inviting and modern. There’s nothing more relaxing than a hot bath or shower after a long day. To provide the right environment for guests who just want to relax, install new bathroom lighting fixtures. Modern lighting should allow guests to control the amount of light that’s used, to include dimmers and different switches to control different lights. No one likes to use a low-quality washcloth to clean with or a scratchy towel to dry off. To give your guests a good experience, invest in soft high-quality linens that will allow them to feel as if they’re in a spa in their hotel room. By offering guests quality linens, you can make them feel pampered and cared for while away from home. Over-the-sink mirrors are nice, but full-length mirrors give your guests the vantage point they want to ensure they look their best before heading off to work or out for a night on the town. Full-length mirrors can fit seamlessly into any hotel bathroom without taking up too much precious space. Installing new flooring is a great way to accentuate your new corner shower stalls or tub surrounds. While you may think that guests don’t notice bathroom flooring, what’s below says a lot about the age and decor of the entire space. New tile flooring can get rid of the cracks, buildup, and discoloration that has occurred over the years. These products are not just convenient; they can be lifesavers for guests who forgot their items at home. Towels are nice for drying off with, but who could say no to a plush robe after a nice long shower? Offering robes for your guests is a simple way to pamper them and give them a comfortable item to rest and relax in. If your hotel bathrooms offer large garden tubs, a nice item to provide your guests is a bathtub tray. The tray can be used to hold food, a book, a laptop, and other items that a guest may want to use in a bathtub. The hospitality industry continues to be as competitive as ever. 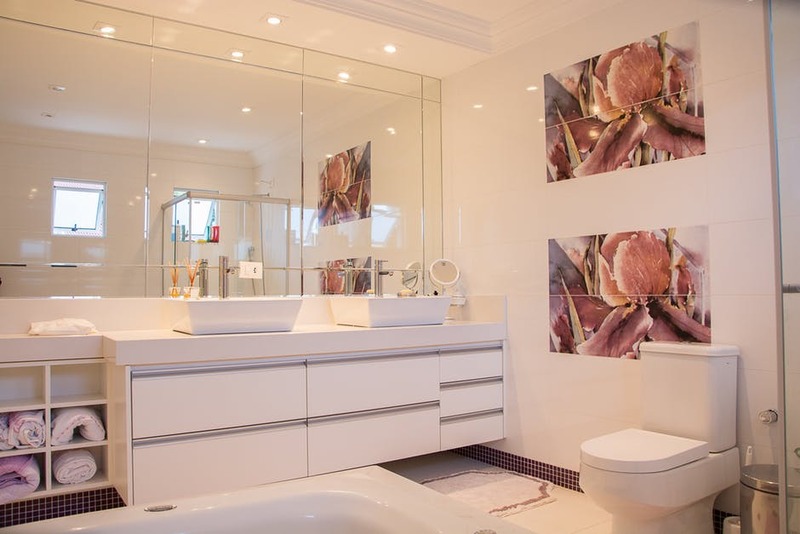 If you want to set your location apart from your competitors, start by upgrading the bathrooms to offer all of the important amenities to create a space where guests can relax and clean up after a long day of work or travel. At American Bath Enterprises, we offer a wide range of shower and bathroom products, including shower surrounds, bathtub enclosures, ADA-compliant shower systems, shower pans, and even kits to install a window in a shower. You can trust our company for all of your bathroom needs. Call us today at (888) 228-4925 or visit our website to send us a message. We look forward to working with you!